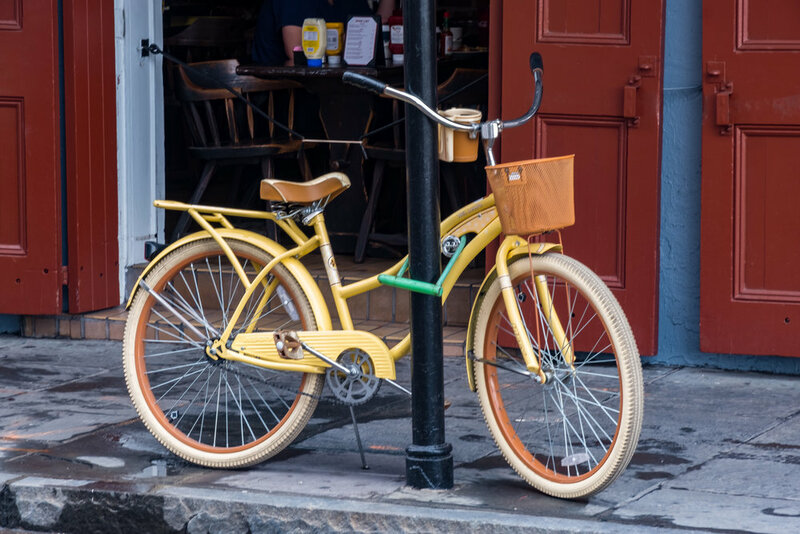 Each time I am in New Orleans I seem to find at least one cool bike to photograph. Love the retro look and the colors on this one and its "never going to misplace me" neon lock. It has all the NO essentials: cup holder.